Oh Ikea, I blame you for my outrageous addiction to those Swedish meatballs. Fika is conveniently located at the end of Brick Lane. You may recall my Fika experience a few years ago. I’ll explain what Fika is again. Fika is Sweden answer to the English afternoon tea. Instead of tea, people have coffee and some cakes and biscuits. I regularly get my haircut at a salon nearby. Starving and craving meatballs I automatically thought of Fika. Fika welcomed me with open arms. 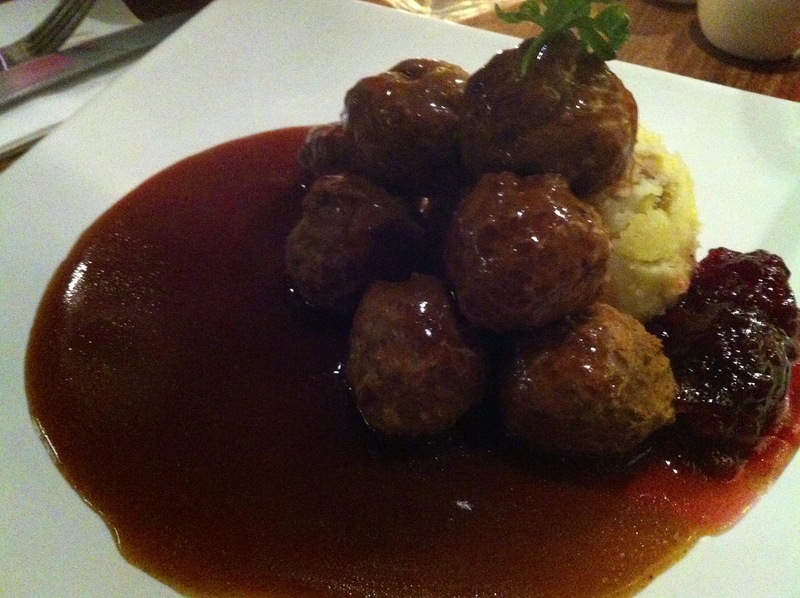 The meatball they sell comes with lingonberry jam sauce and mash. The meatballs delivered the familiar taste and texture sold in Ikea stores. However, the gravy was not as creamy. Hidden underneath was so much mash potatoes. 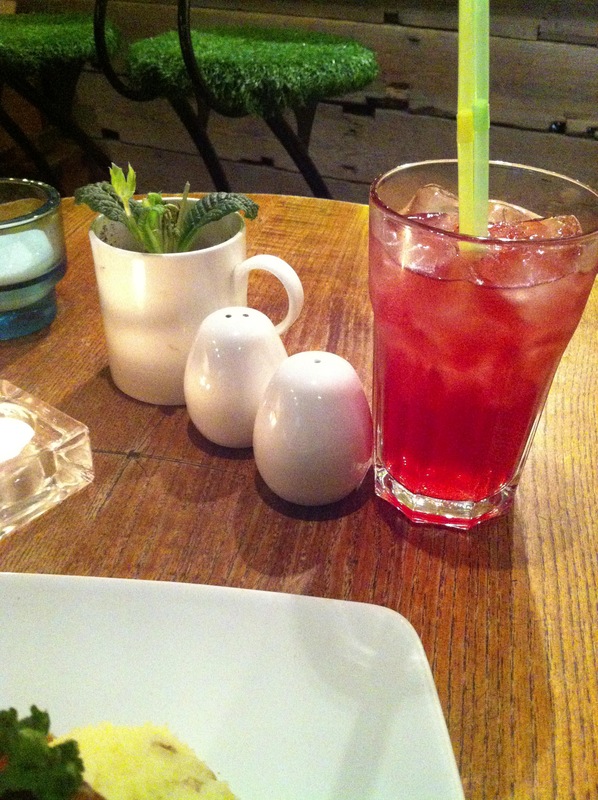 I also ordered a strawberry liquorice drink, which was strawberry Ribena with liquorice. A truly delightful unique refreshing thirst quencher. 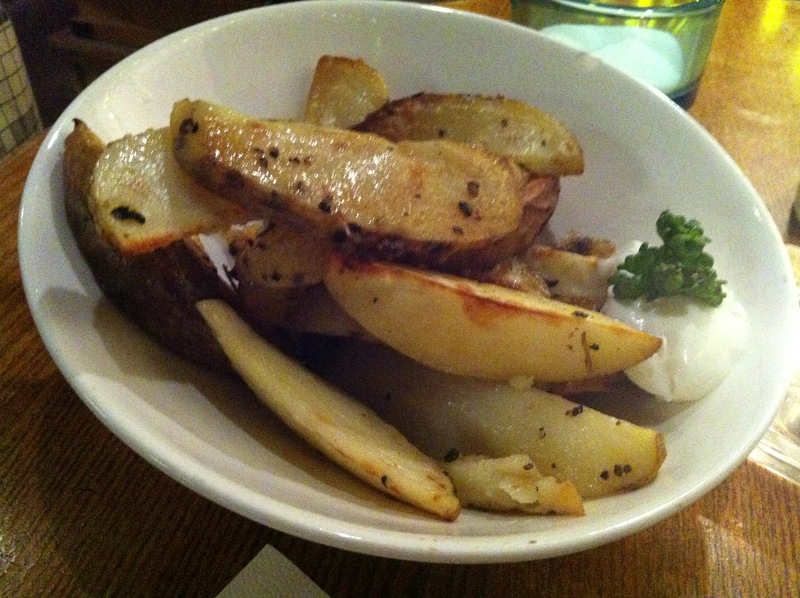 Overall the meal was satisfying a lot pricier than the usual Ikea ones. A meal here will set you back to around £20; well at least it’s local to me.